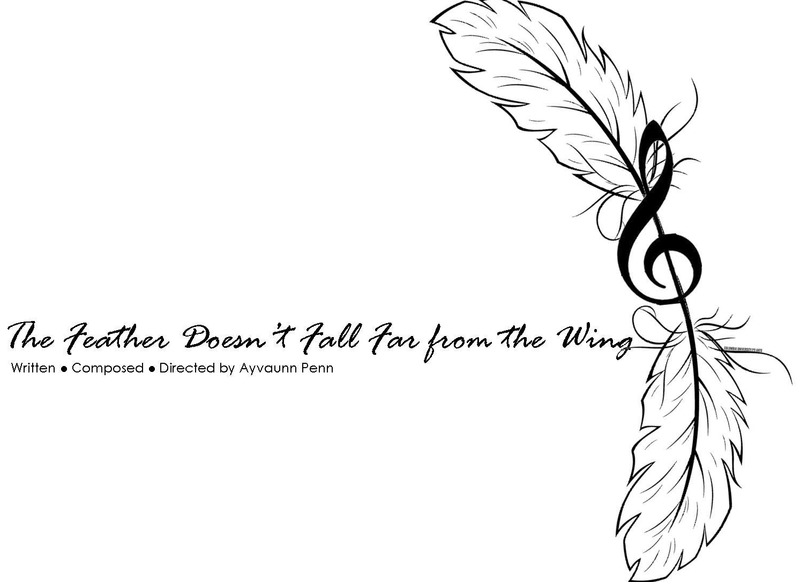 I’m so excited to announce that my latest work, The Feather Doesn’t Fall Far from the Wing: A Play with Music opens next week on Wednesday May 9, 2018 at the prestigious Signature Theatre of New York as a part of Columbia University’s Playwrights’ Thesis Festival. Through the perfect elixir of poetry, song, and dance The Feather Doesn’t Fall Far from the Wing: A Play with Music — written, composed and directed by yours truly — reimagines the fall of Lucifer described in scripture. I bring into fantasy a sister who ultimately takes Lucifer’s place as heaven’s new minister of music and a jealous brother who cannot be trusted to keep her secrets. It is with great honor that I can say this new work is under the mentorship of Tony Award winning Broadway producer Ron Simons and the tutelage of Tony Award winning playwright David Henry Hwang and Pulitzer Prize winning playwright Lynn Nottage. Through the perfect elixir of poetry, song, and dance The Feather Doesn’t Fall Far from the Wing my new play with music reimagines the fall of Lucifer described in scripture. The piece brings into fantasy a sister who ultimately takes Lucifer’s place as heaven’s new minister of music and a jealous brother who cannot be trusted to keep her secrets. This new work is being featured at none other than New York’s acclaimed Signature Theatre in May 2018 as a part of Columbia University’s Playwrights’ Thesis Festival. Book your audition appointment today for auditions! NON-AEA ACTORS ONLY. AGES 18+. My team and I are looking for a diverse cast of athletically built actors with excellent singing and dancing ability. A good ear for a capella, vocal improvisation ability, and a strong sense of rhythm are key. Actors must also be willing to wear fitted costumes and body paint. We also seek elegant, strong vocalists for our vocal orchestra. Note: Vocal orchestra members will have a less rigorous rehearsal schedule and perform in dress attire. Lucifer (Lead) – Male. Tenor. Exceptional singer & dancer. Bold. Intellectual. Cunning. Heaven’s minister of music until he vows to forever be at odds with God. Lehabim (Lead) — Soprano. Exceptional singer & dancer. Lucifer’s beloved sister. Maternal. Heaven’s second minister of music. Luz (Lead) — Bass. Exceptional singer and dancer. Lucifer’s brother. Muscular. Bigger than life presence that fills the room. Heaven’s third minister of music. Amana (Lead) – Female. Soprano or Alto. Good singer & dancer. The one who listens while others simply hear. Extremely intelligent. Abdeel (Supporting) – Male. Tenor. Good singer & dancer. The garrulous angel who always supports and encourages others. Abdon (Supporting) – Male. Tenor. Good singer & dancer. The angel who is the unassuming instigator. Abiah (Supporting) – Female. Soprano or Alto. Good singer and dancer. The wild card. Chill. Laid back. Phim /Adam (Supporting) – Male. Tenor, Bass, or Baritone. PHIM: Sera’s twin brother. A mystical angel who speaks primarily through dance. Exceptional dancer. Double cast as Adam. ADAM: The first man created. Tenor, bass, or baritone. Exceptional dancer.The first man God creates. Though this character does not sing, the actor cast in this role will sing songs and deliver lines that involve the full cast. Sera / Eve (Supporting) – Female. Soprano or Alto. SERA: Phim’s twin sister. Also a mystical angel who speaks primarily through dance. Exceptional dancer. Double cast as Eve. EVE: The first woman created. Exceptional dancer. Vocal Orchestra – Males & Females. Sopranos, Altos, Tenors, Basses, and Baritones. Exceptional singing ability. Elegant. Distinguished. Poised. AUDITION DETAILS: Appointment only. Ten minute slots. 1 minute of a song of your choice from any of the following genres: Contemporary, RnB, Folk, Indie, or Gospel. Theatre songs are permissible as well. No musical accompaniment permitted. Please wear fitted athletic clothing with a polished appearance and shoes that allow you to dance. If you are AUDITIONING FOR VOCAL ORCHESTRA ONLY, simply wear something polished. Specify which audition DAY(s) and TIME(s) you are available. NOTE: You must be available for the full callback audition time. Only audition if you are available for the full callback time and the entire production schedule. *Dates and times may change due to creative team schedules and/or rehearsal space availability. Auditions, rehearsals, and shows will be filmed and photographed for student archive and promotional purposes. NOTE: Because this is student work, this is a non-paid opportunity. 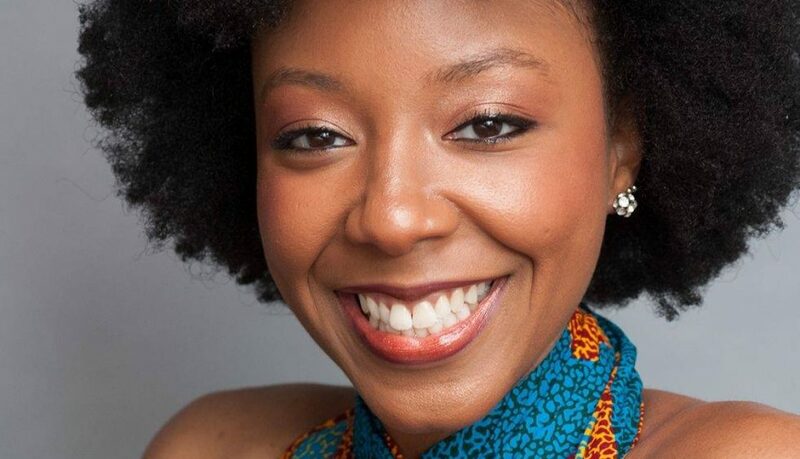 For automatic updates on auditions for her work and updates on her projects, subscribe to her website at ThePennSpeaks.com . The time has come! Zarephath, A Gospel & Jazz Infused Musical opens this Friday August 11th at 7PM at Columbia University Schapiro Theatre. Click here for other show times and locations. Seats are going fast, but it’s not too late to get yours. Make your FREE reservation at the link above. This is the perfect outing for you and your family, church group, and friends. Enjoy the spiritually uplifting story of the widow who shared her last meal with the prophet Elijah and the miracle that follows — a story of how God can take what little you have and bless it into abundance with a little faith from you. Columbia University Schapiro Theatre is located in Schapiro Hall at 605 W. 115th Street, New York, NY 10025. Click here for directions. See you at the show! (Video) Listen to How Much My ZAREPHATH Cast Rocks!!!! I just have to share this amazing moment from last week’s ZAREPHATH rehearsal with you. In this video, you will see some of the cast members of my summer musical put together an AWESOME vocal beat…ON THE FLY! I still can’t believe this happened, and I honestly can’t stop listening to it. All I know is that if these amazing actors can create vocal fabulousness for something as simple as an exercise, the actual show is going to be mind-blowing. Details for the show are below. Mark your calendars, invite your friends, tell strangers, and I’ll see you there! A showstopping, dance-filled, gospel and jazz infused musical based on the Bible story of the widow woman who shared her last meal with the prophet Elijah. ZAREPHATH is written and directed by Ayvaunn Penn under the tutelage of two-time Pulitzer Prize Winner Lynn Nottage & Tony Award Winner David Henry Hwang. Thrilling to perform, enthralling to listen to, and exciting to watch, this ball of summer fun will also be performed in various public spaces in NYC. To receive automatic updates on where the show will appear next, follow this blog by entering your email address at the bottom of this webpage. Written and directed by Ayvaunn Penn under the tutelage of Pulitzer Prize Winner Lynn Nottage & Tony Award Winner David Henry Hwang. Produced by Paloma Estevez. Non-Equity Actors Only / Ages 17+ / All Ethnicities: Seeking NYC actors with solid backgrounds in singing and dance. This a capella gospel and jazz infused musical requires that individuals have: a good ear, the ability to vocally improvise with a large group, and a strong sense of rhythm. Actors also need a large stage presence that can command attention in busy outdoor venues as well as the physical stamina to perform in summer weather. Non-paid but a great opportunity to work with members of Columbia University School of the Arts. About the Show: “Zarephath” is a large dance-filled ensemble piece based on the Bible story of the widow woman who shared her last meal with the prophet Elijah. Thrilling to perform, enthralling to listen to, and exciting to watch, this ball of summer fun will be performed in various public outdoor spaces in NYC with one performance at Columbia University. How to Register: Email Ayvaunn at PennSpeaks[at]gmail.com and put “Zarephath – [Role Desired]” in the subject line. Please state the time frame you are available during designated hours on the specified dates, and you will be assigned a time slot. Also, attach a copy of your headshot and resume. Only register to audition if you will be available for callbacks and the full production schedule listed below. Note: Auditions will be filmed and footage may be used for promotional purposes. What to Prepare: One minute of a song highlighting your vocal range and skill (no musical accompaniment permitted). Thirty seconds to one minute of dance choreography showcasing your full range of ability and any special skills. Please wear movement clothes and shoes with a polished appearance. Script sides will be provided on site for cold reads. Note: This is truly a group storytelling piece comprised of 20-30 actors. EVERYONE will move fluidly between and/or share roles and be seen and heard at all times. Seeking versatile performers with a passion for poetry, musicality, movement and ensemble work. Performers with backgrounds in poetry, dance, gymnastics, and stage combat are strongly encouraged to audition. Details about roles, important dates, and audition steps are below in the casting notice. KING DAVID, lauded by theatre legends Anne Bogart and David Henry Hwang, has taken on exciting transformations in form and content since the original October 2016 production at Columbia University. Imagine a dance-filled “musical” where people are the instruments, poetry is the music, and the human body serves as the building blocks of the set. That is what writer/director Ayvaunn Penn has created with this piece. It is visually stunning and an absolute ball to perform. This play explores the tragedy that befalls King David’s family in a way he never expects when his son, Amnon, rapes his beloved young daughter, Tamar. Will David have the strength to tell his daughter that his past actions are the cause of her pain? Through contemporary free verse poetry and dance we dive into David’s mind revisiting the mental battle fields of his past where the fate of his daughter is determined. Ensemble – Males & Females. 18-50. Always actively functioning as equal parts narrator, musical underscore (with poetry & bodily percussion), dance, scenic elements, and soundscape. Requires basic rhythm and the ability to follow simple choreography and carry a tune (if you can hum “Twinkle Twinkle Little Star” you’re good). Individuals interested in auditioning for ENSEMBLE ONLY should be athletic and able to maintain high energy and rhythm. Above average vocal, dance, and gymnastics skills are a plus. Have a list of any conflicts you may have during January 3 – March 12, 2017. If you are cast, any conflicts you fail to disclose in advance will not be excused. All rehearsals will be held in the area around Columbia University. Dates and times may change due to creative team schedules and/or rehearsal space availability. 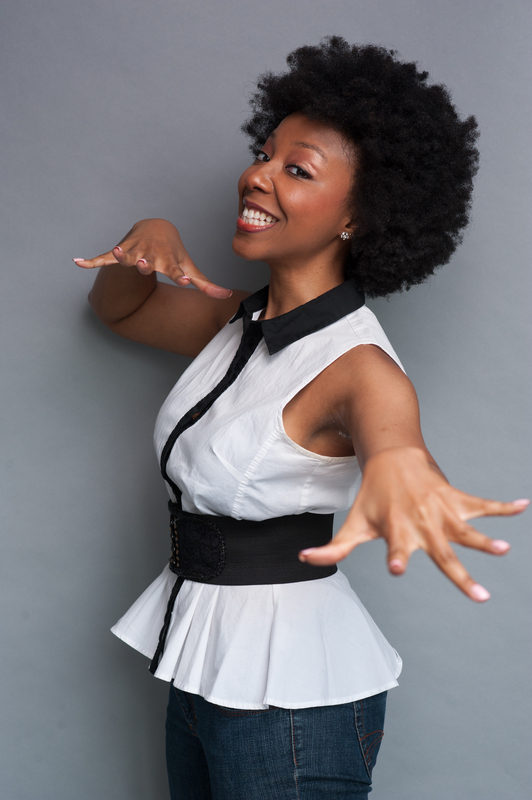 Enter your email address to get updates about Ayvaunn's shows, auditions, artist interviews & more!